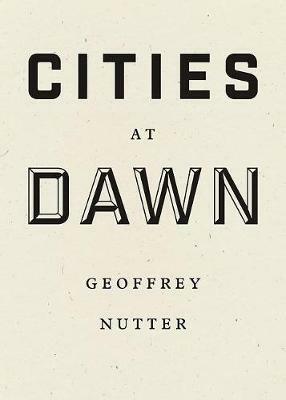 Lush, surreal, cinematic, and imagistically precise, Geoffrey Nutter paints the world into his fifth collection of poems. His poems display a consciousness in awe of all matter, be it organic, mechanical, industrial, ornithological, or sartorial. Iridescent and sparkling, his poems are ornate wonders of language, each their own contained ecosystem and civilization.